May 2018: Find links at the bottom to share the news! The February on line Mega Auction is now just a memory, but the efforts of all the people who generously donated great items, ( weekend trips and special restaurant dinners for the event ) and those who bid on the auction items and made personal financial program donations... combined with other fund raising activities, such as monthly sponsorship and memorial and in honor of donations, have helped to make the funding possible for our newest supported Sanctuary Grass and our other two supported sanctuaries, DVGRR’s Lynne Glennon Sanctuary for Senior Goldens and Puppy Mill Survivors and HBGRR’s Sugar Shack Acres Sanctuary. Showing your hearts of gold have also aided fulfillment of other one-time emergency financial support requests from Sanctuaries in need of additional support possible for 2018. Thank You all for your devotion and support of Golden Oldies in need from coast-to-coast throughout the year . The Kuranda Dog Bed Company under the direction of Beth, their coordinator, held a contest with the winning groups each winning 5 of their special beds. 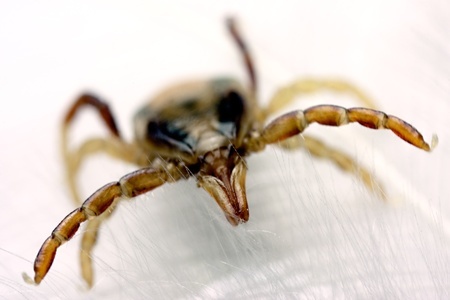 Chris Miele submitted the GRSRS&EC program and it won! Thank you Chris and all the people who made this possible. Beth sent two beds to GRASS, one very large and one regular size so that they could be used both outside in the play yard and inside in the kennel areas too and three beds to Sugar Shack Acres, 2 very large and one regular size. The “Oldies” do like to sun bathe together on their extra- large and very comfortable beds. Notice all the pictures shown. Please take a moment and review this company’s web site, they might have what you are looking for in a bed for your cat or dog. Now some information about our next fun fund raising event. I have asked many “Golden People” about this idea and the response has been positive. Now we want your thoughts on this project too. A wonderful Golden Person from Martha’s Vineyard donated 800 special Golden Retriever prints that are not available to the general public anywhere else to the best of our knowledge. They truly present a wide variety of Golden prints. Some Black and White, Some Sepia, Some Colored, small, medium, large and some very large. Puppies, action photos and Old Timers too. Some are signed, some numbered. We are still organizing this great donation so we will be ready to offer them to you all starting August 1 st . They will be offered on a first come first serve basis as there is a wide selection available and with some of the prints only a few are available. Because of the wide differences in size there is a big selection to pick from and for using them as gifts…Holiday Gifts, Club Raffles, Birthdays, and Celebrations of all kinds would appreciate such a print that can easily be purchased for a very modest price. Think of your gift lists…donations to charitable events, club events, the list is endless. Now we need your input…do you like this idea? • What cost structure do you feel would be appropriate? Our cost is only the shipping tubes and postage and some Advil for the volunteers doing order fulfillment. Imagine sending in your Holiday Gift List next fall and your shopping is mostly done. At these lower prices you can give them to more friends. The prints are truly lovely and will be cherished by those receiving them and will help the GRSRS&EC to continue to provide for Golden Oldies in need no matter where or when the emergency strikes. I have mentioned before, except for services such as computer services, constant contact, end of the year professional program auditing, printing and postage, ALL our activities are done by dedicated volunteers, no salaries, no financial bonuses, and no financial gifts……just Golden Kisses mainly from “White Muzzles” either in person or in pictures. That is what makes our volunteers’ hearts beat faster and our commitment becomes even stronger each day. here's the recipient of one of our auction products! Mari is enjoying her umbrella she won supporting the GRSRS&EC Senior Goldens! 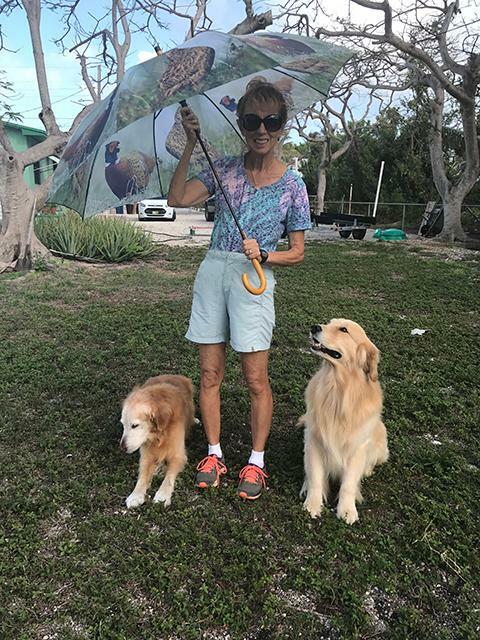 Mari lives in Florida, showing the GRSRS&EC mission is reaching near and far to help Senior Goldens coast-to-coast! Thanks again to everyone who participated in our online auction and donated products! Here's a great opportunity to own a piece of history! 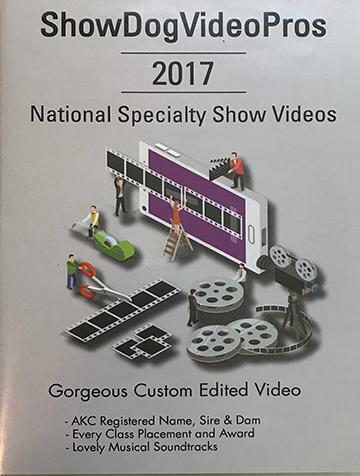 Purchase Show Dog Video Pros, 2017 National Specialty Show Videos! Each Video is $25 plus a $3 Handling and Shipping charge. Don’t wait... first come first serve. If the video you wish to purchase is already sold when your order arrives your check will be promptly mailed back to you. 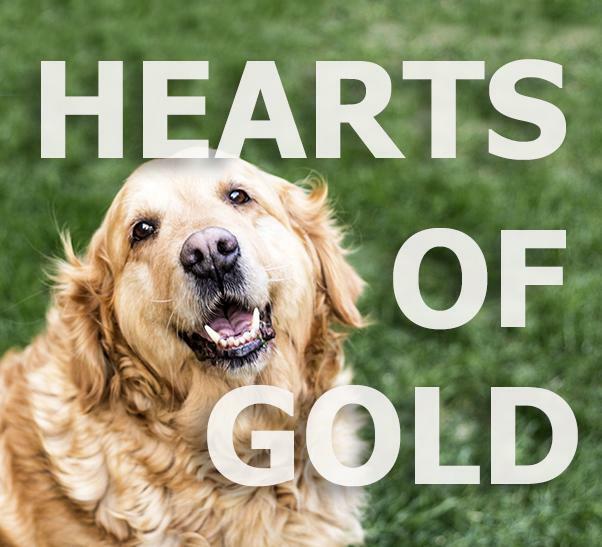 GREAT OPPORTUNITY to have a very special memento of a wonderful GRCA National Specialty featuring beautiful Goldens from puppies right up to Golden Oldies. All Proceeds from the sale of these videos will be used to assist Senior Golden Retrievers in need of Sanctuary Care. Questions? Email Joan at jepgoldens@yahoo.com.